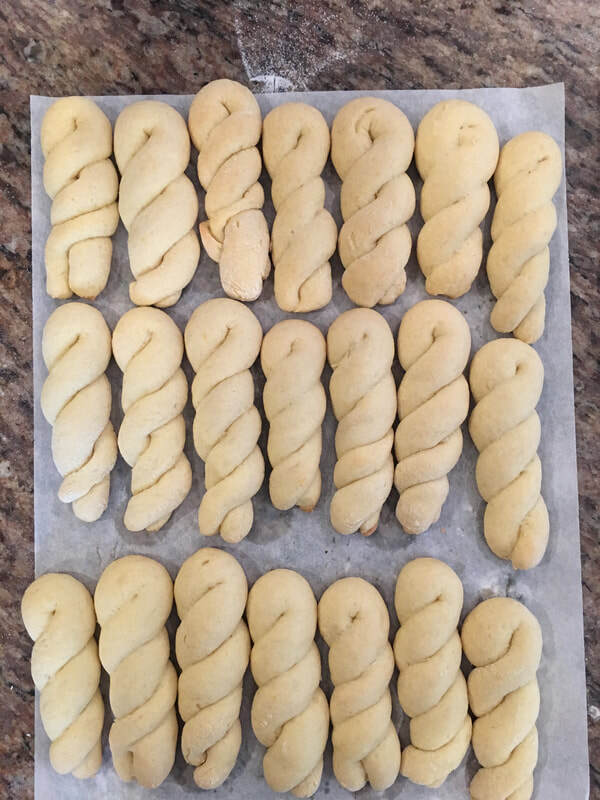 Some of the fondest memories of my upbringing in southern Italy revolve around food, specifically, around mom’s baking. As a stay-at-home mom, her favorite pastime was baking, and as her family, we were more than happy to oblige with tasting her treats! Frequently, we weren’t done eating one batch of something, and a new batch would be prepared. Such was the sacrifice for the rest of us! Merenda, or snack-time, at school was always a treat, not surprisingly so, it was my favorite part of the school day! Our home was across the street from our elementary school, literally steps away, and there were times where I could swear I was smelling my mom’s baked goods! Ok, it was likely my imagination, but more often than not, when I got home, there would be a fresh batch of some type of cookies ready to be devoured! 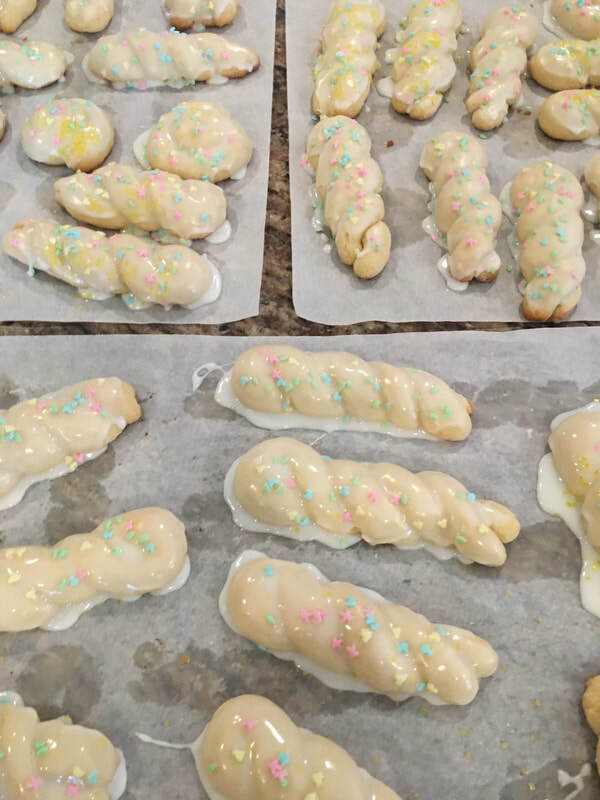 Some of my favorites include her S cookies, and these braided lemon cookies. While the shape changed occasionally, my preferred way is this braid. 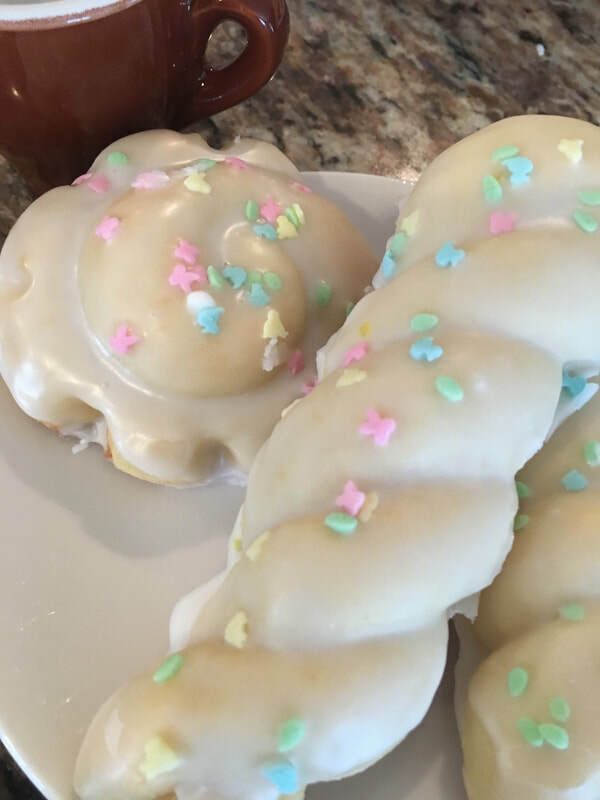 They are a simple treat, delicate really, and utilize everyday ingredients. We frequently baked cookies that called for olive oil instead of butter, since olive oil is the fat of choice in southern Italy. But EVOO is far too strong for these, so when we moved here from Italy, we started using vegetable oil. It works just as well, is cheaper and doesn’t leave a savory flavor the way some oils can when baking. This makes a large batch, so they are ideal for those gatherings requiring you to bring some treats. Italians have a lot of these gatherings, so these are frequently seen on dessert tables at Italian parties such as Communions and Baptisms. They are also wonderful for Christmas and Easter. Or just to have on hand for coffee and tea time! This recipe makes about 45 cookies, depending on the size you make them. As you can see, mine are a bit on the large size, so I get about 40 cookies for each batch. 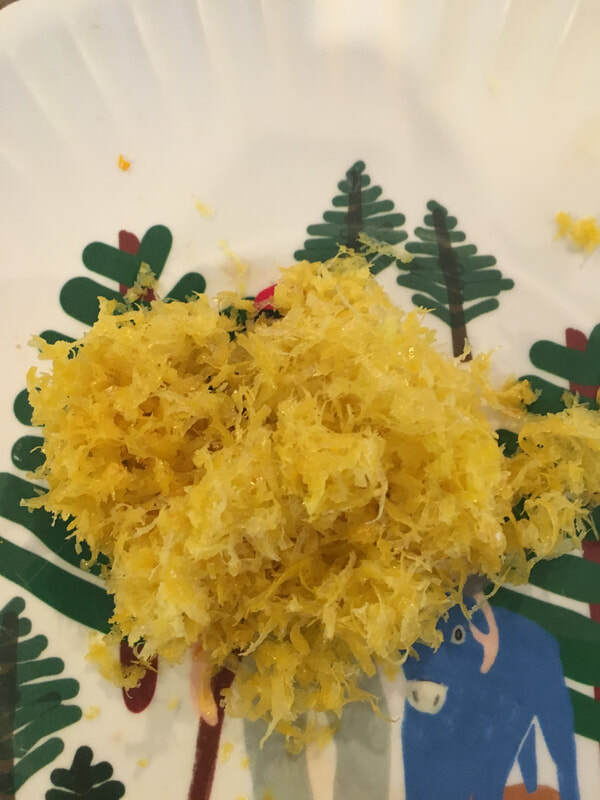 I love a little mound of lemon zest! I use a microplane to grate it, it’s easy and efficient! 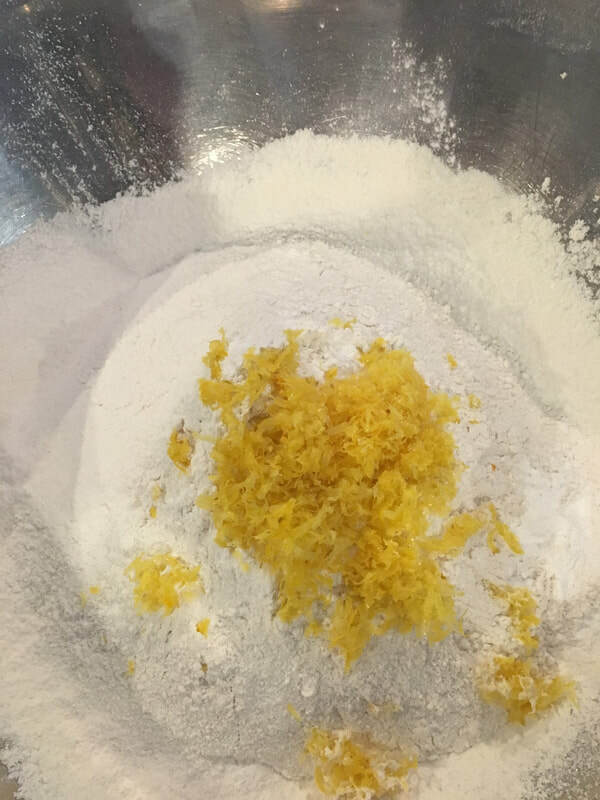 Sift the dry ingredients and add the lemon zest, and set them aside. We will come back to these in a few minutes. 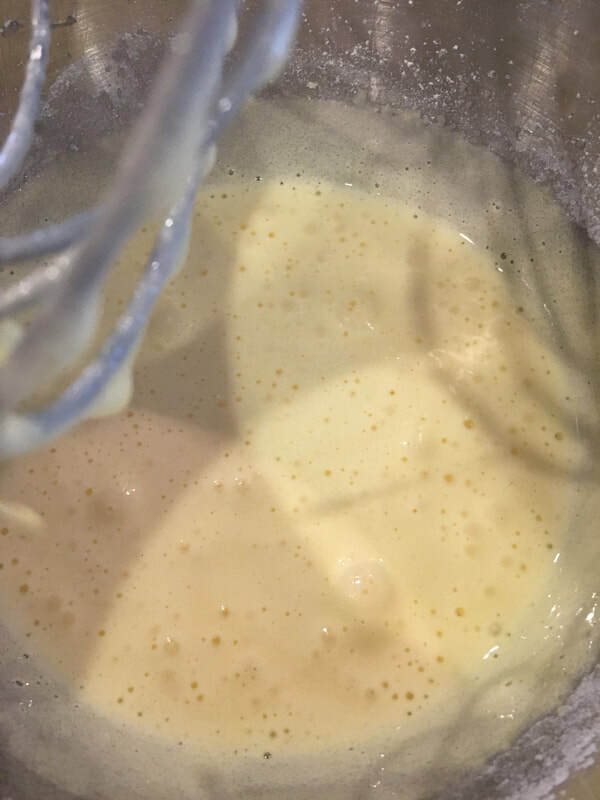 Beat the eggs for several minutes until light and frothy, then add the sugar and mix well until combined. Add the rest of the wet ingredients, then slowly add the dry mix. Create ropes about 5 inches long and braid into twists. Place on baking sheet that has been prepped with parchment paper. Bake for 15 – 17 minutes, until they are golden at the bottom. Smaller cookies will take a few minutes less. 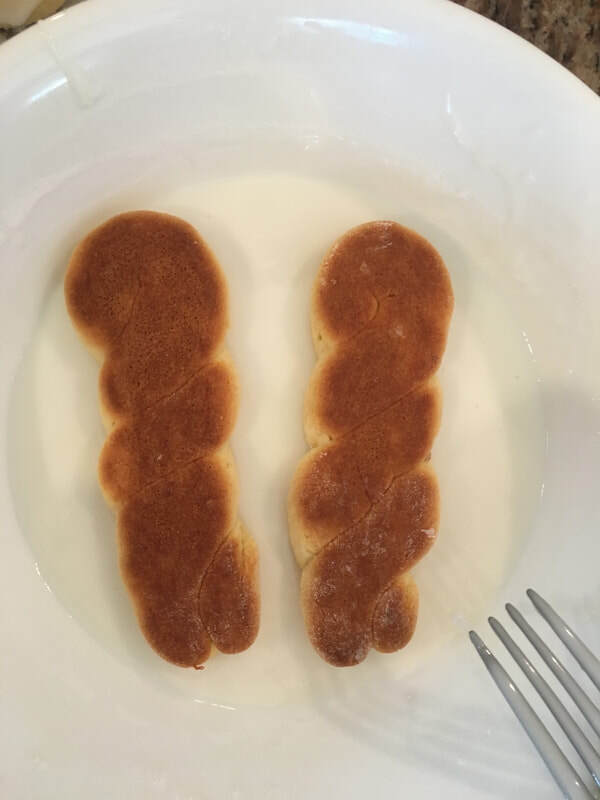 I like to simply dunk them in the icing, you could also use a spoon, but this is so much easier and faster! Love that golden color on the bottom, they’re perfect! Drying off before plating. Make sure they are completely dry so they don’t stick to each other on the serving dish. 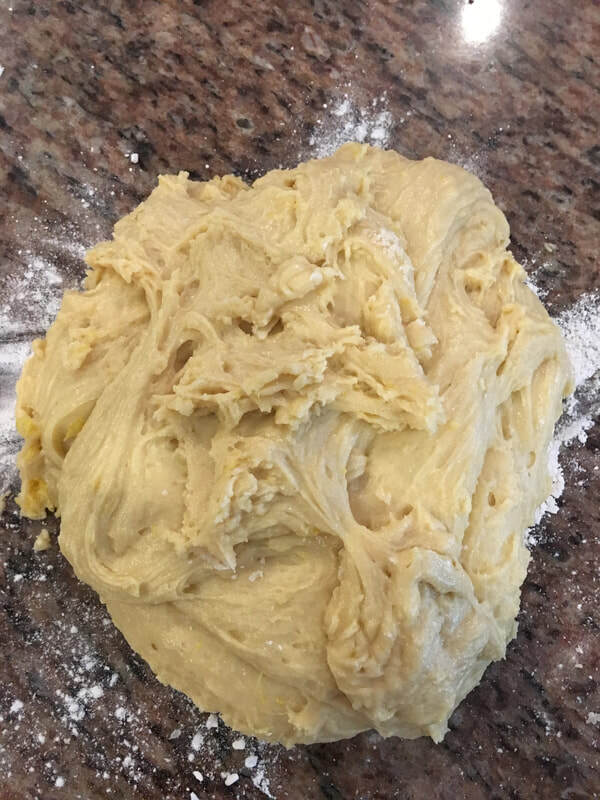 Cut pieces of dough with a knife, amount should be about 2 tablespoons of dough. 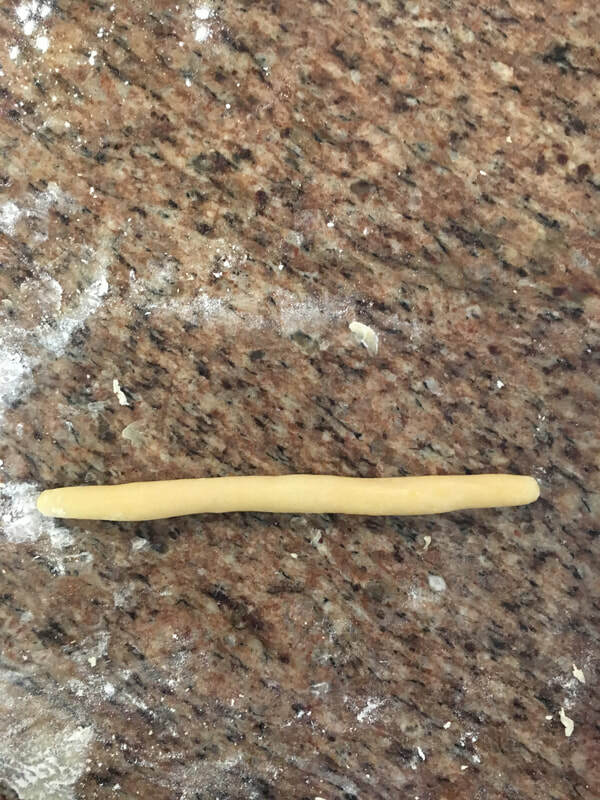 Roll each piece of dough into 4- to 5-inch strands. 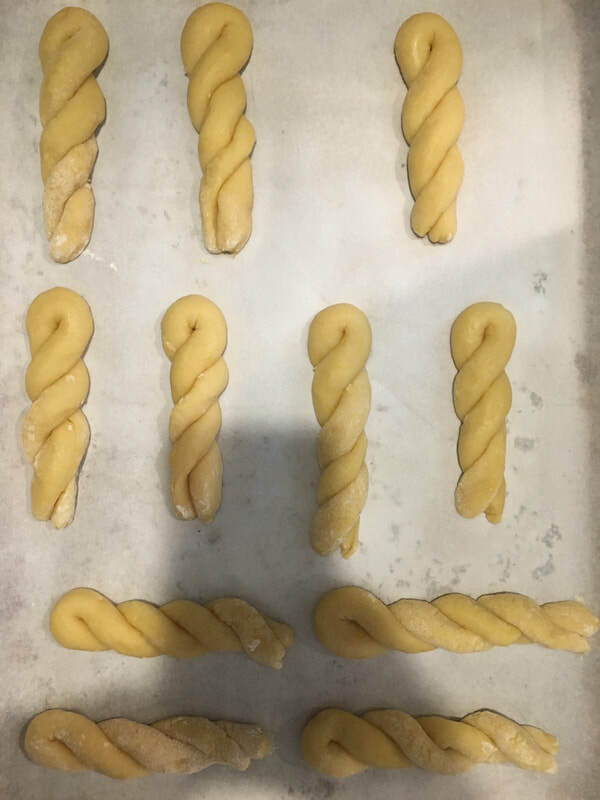 Shape into a 2-strand braid and place on baking sheets. 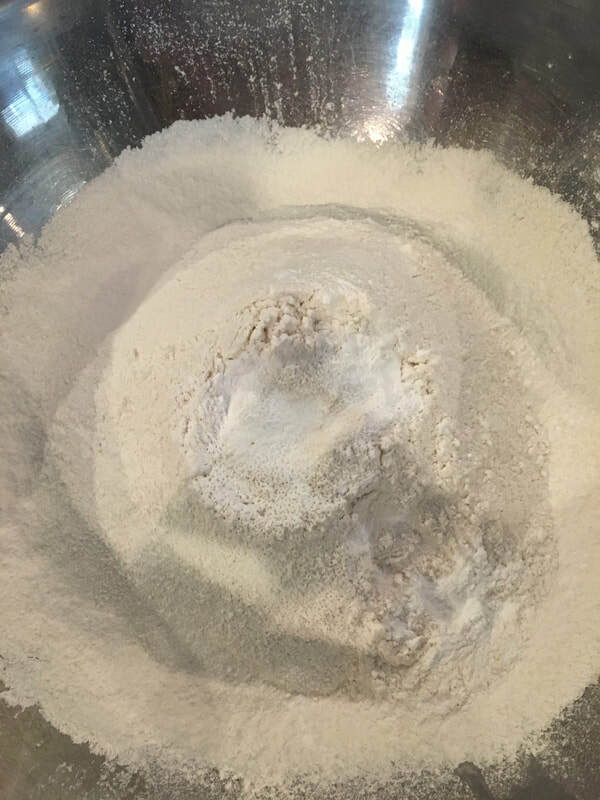 Work quickly and efficiently as dough will be soft. 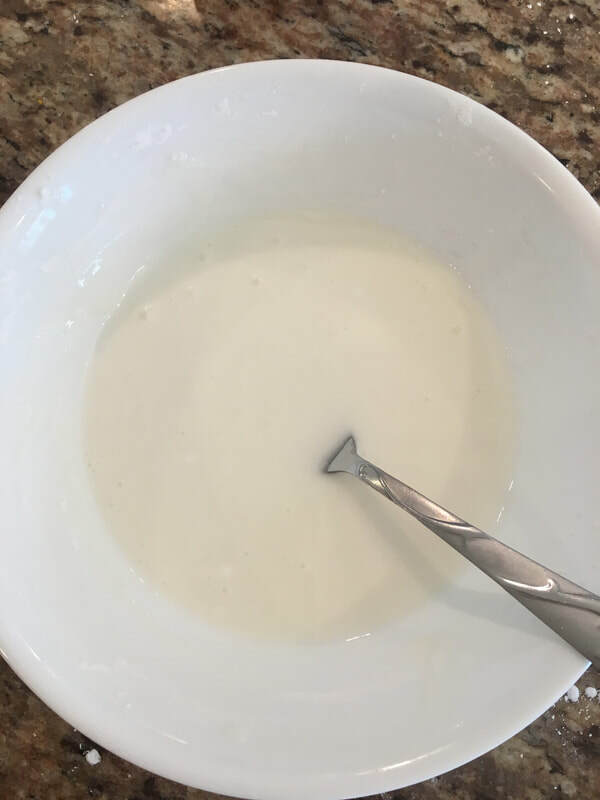 To make the glaze, mix all of the glaze ingredients well until they are smooth. If the glaze is too thin, add a few additional tablespoons of sugar. Likewise, if it’s too thick, add a few teaspoons of milk until you have the right consistency. Ice cookies by dunking them in the glaze and allow excess to drip. Add decorative sprinkles, as desired.